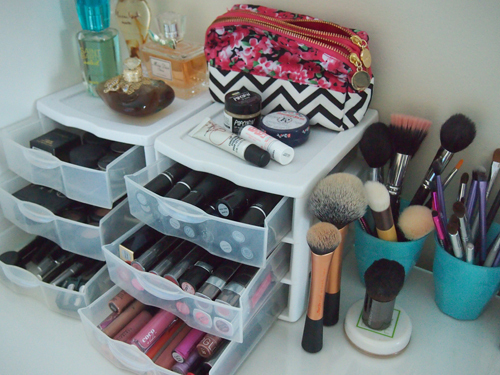 Love how organized you are; wish I was! 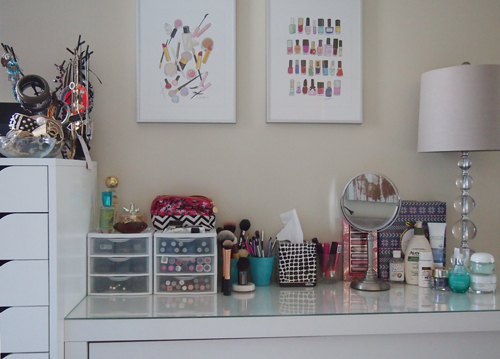 Your makeup collection puts mine to shame! 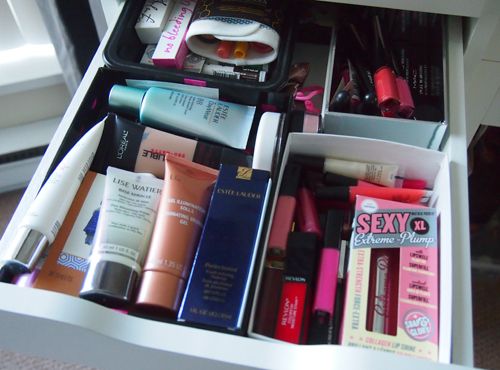 I really need some sort of organiser for my ever growing lipstick collection! Enter my new giveaway to win some of my winter beauty favourites! Woooww that looks amazinng! My collection is half in my room and half in my bathroom right now. I love looking at big collections but I'm personally trying to slim down for the year! super jealous of your make up collection you have going on there! i want it all. 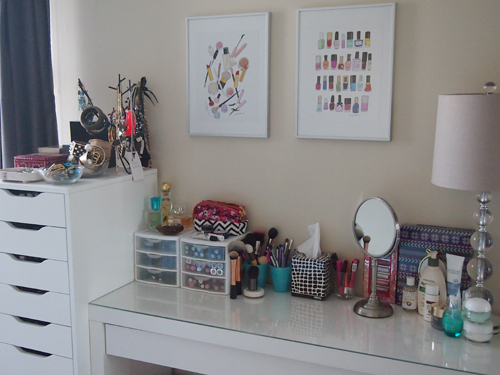 Fantastic makeup organization and collection! Where do ppl get these 3 level storage thingies? I got mine from London Drugs! great storage! i need to invest in some of these!! 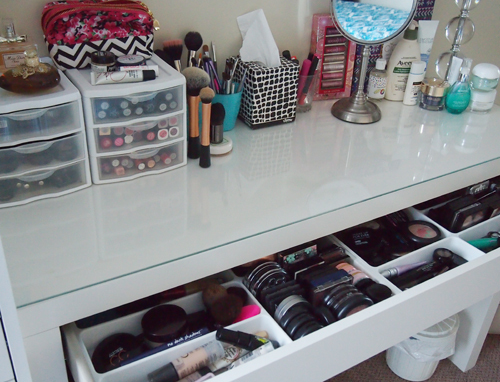 I really want some of those plastic storage boxes, my vanity area needs a major toiy up! Oh my gosh that is my idea of heaven at the moment, you have everything so organised! My make up is everywhere! #makeupenvy! 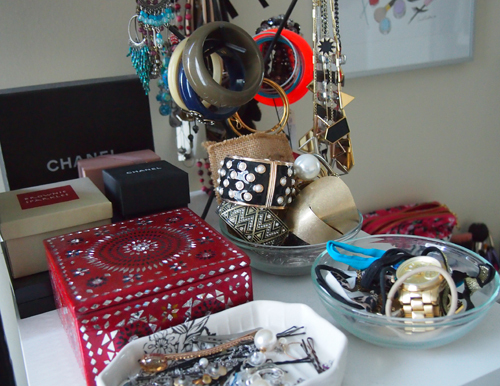 You have quite a collection, and it's all so neatly organised too! Wow organised perfectly in time for the start of the New Year! I am so impressed and *cough* jealous *cough* I am glad I checked out your blog because I think its just amazing!